Please note that this current website does not have a shopping cart. To buy our Fur Rings online, please go to our e-commerce website at NaturalExotics.ca. In the past, tanneries often shipped furs using metal fur rings. For years, we gathered up old metal rings from furriers and fur dealers, but this supply has dried up as the fur business has moved to China and tanneries switched to polypropylene cord to save money and reduce damages to furs in shipping. 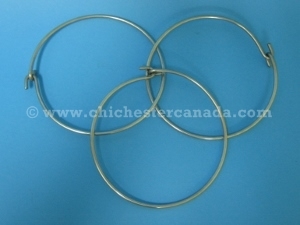 Many of the old rings were made using fairly thin metal that would bend and warp under load. 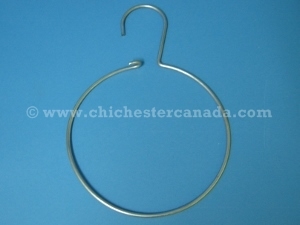 In order to get what we wanted for our own use, we had strong fur rings with hangers made using heavy wire at a factory in Canada. 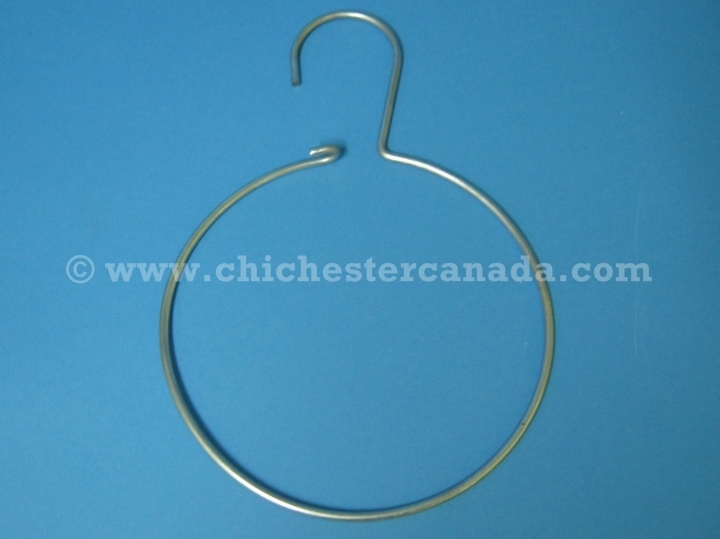 The rings do not bend or warp under the weight of the furs and are a pleasure to use. The galvanized steel will not rust and is stronger than aluminum and significantly cheaper than stainless steel. 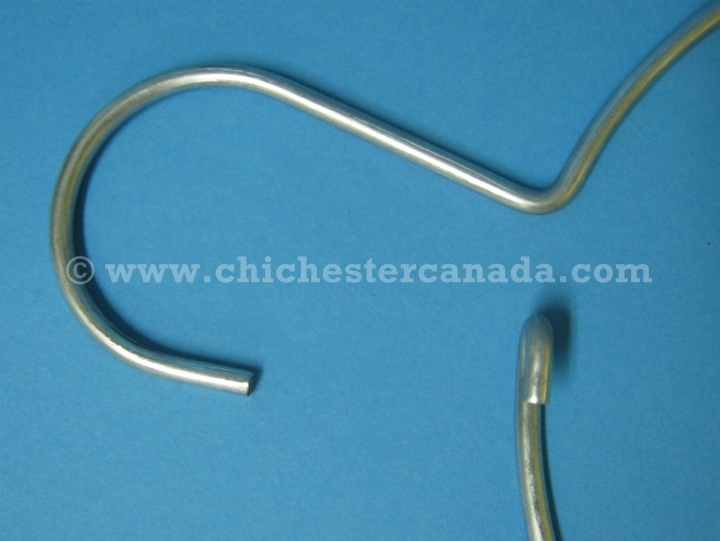 Meanwhile, the stainless steel will never rust and is less stiff than the galvanized steel. 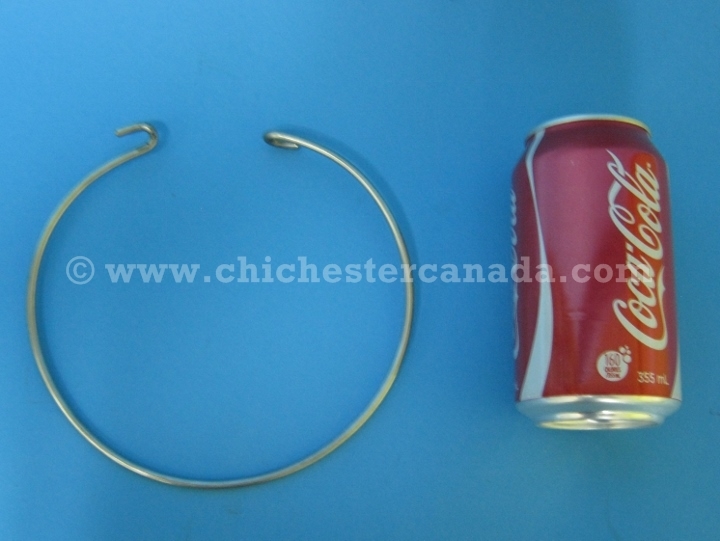 One ring is 19.5 cm in diameter, 0.5 cm thick, and is 77 cm long all around, including the hook. It weighs 108 grams. We also carry fur rings without hangers. 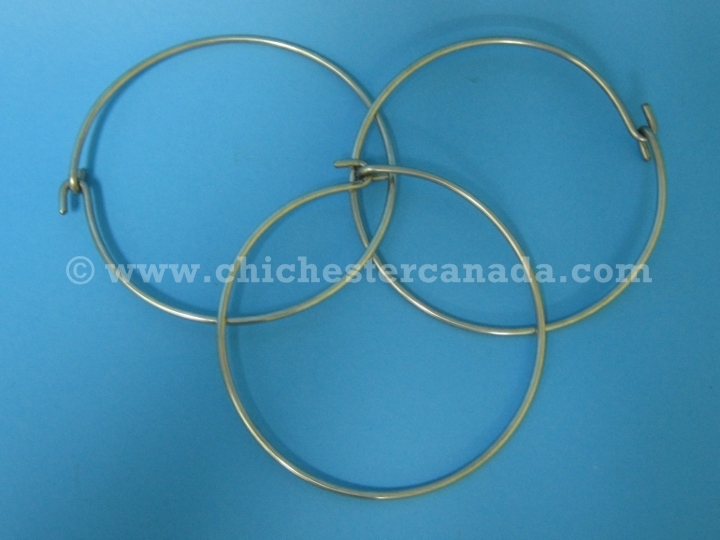 These are good quality rings made from heavy stainless steel. 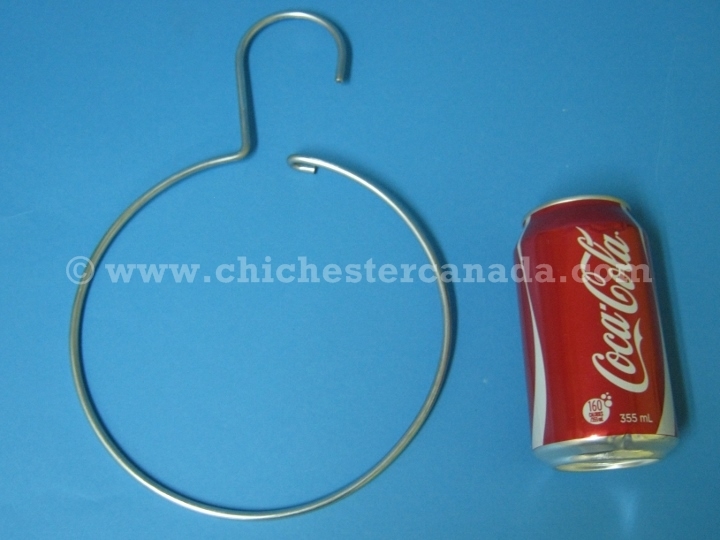 One weighs 48 grams, has a diameter of 15 cm and a thickness of 0.5 cm. We have limited stock of both styles.